By February first, eighteen sixty-one, seven southern states had withdrawn from the United States of America. They created their own independent nation -- the Confederate States of America. 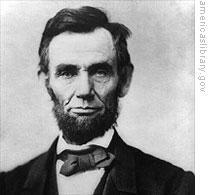 The South seceded because Abraham Lincoln, a Republican, had been elected president. Southerners believed he would support a constitutional ban on slavery. They were afraid their way of life would soon end. This week in our series, Kay Gallant and Harry Monroe discuss the beginning of Abraham Lincoln's presidency. Lincoln chose William Seward as secretary of state, Salmon Chase as Treasury secretary, Gideon Welles as Navy secretary and Montgomery Blair as postmaster general. Seward did not like Chase, Welles or Blair. 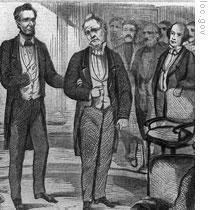 He told Lincoln that he could not serve in the cabinet with them. He said they would never be able to work together. Lincoln answered that he would be happy to make Seward ambassador to Britain, instead of secretary of state. Seward gave up the argument and agreed to join the cabinet. Inauguration Day was the fourth of March. President-elect Lincoln rode to the ceremony with outgoing President James Buchanan. Buchanan was ready to give up his power. He told Lincoln: "If you are as happy to get into the White House as I am to get out of it, you must be the happiest man alive!" "In one of those speeches, I declared that I had no purpose -- directly or indirectly -- to interfere with the institution of slavery in the states where it exists. I said I believed I had no legal right to do so, and no wish to do so. This statement is still true. I can only say that the property, peace, and security of no part of the country are to be in any way endangered by the incoming administration." "The Union is much older than the Constitution. It was formed, in fact, by the Articles of Association in seventeen seventy-four. 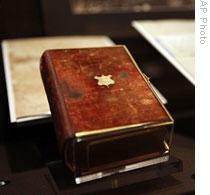 It was continued by the Declaration of Independence in seventeen seventy-six. It grew further under the Articles of Confederation in seventeen seventy-eight. And finally, in seventeen eighty-seven, one of the declared reasons for establishing the Constitution of the United States was to form 'a more perfect Union'. Lincoln's first crisis came quickly. It was a problem left unsolved by the out-going president. Lincoln had to decide immediately what to do about the federal fort in the harbor of Charleston, South Carolina: Fort Sumter. The fort was surrounded by southern artillery. Southern gunboats guarded the harbor. The federal troops inside Fort Sumter were getting dangerously low on food. But any attempt to send more men or supplies would be seen as an act of war -- civil war. Our program was written by Frank Beardsley. The narrators were Kay Gallant and Harry Monroe. Transcripts, MP3s and podcasts of our programs are online, along with historical images, at www.unsv.com. You can also follow us at twitter.com/voalearnenglish. Join us again next week for THE MAKING OF A NATION -- an American history series in VOA Special English. 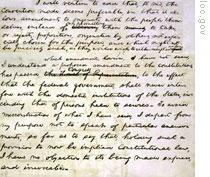 Lincoln took his office after the inaugural speech . the united states were faced with bitter crisis of secession of the seven southern states. although Lincoln had declared that the govrnment would not use force to the pro-slavery southern states, the secession of the southern states had become a fact. one urgent thing laid befor the Lincoln. he must take mesaure to rescue the navies in the port of fort sumter which was surrounded by southern armed forecs-- artillary.